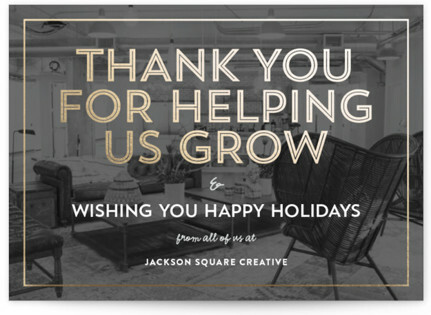 Send out purchasing thank you notes to say thank you for your purchase of a product or using your business services. Struggling to compose the wording for customer appreciation letters, well I have done it all for you! It is imperative that you stay ahead of the competition these days. Once securing customers you need to ensure their repeat orders. Say thank you for your order with a polite thank you note. Below you'll find thank you to customers wording you are free to use or change accordingly. May we take this opportunity to say thank you for your purchase of the bedroom furniture. We are pleased that you have chosen our company and can confirm that we are able to offer the 5% discount as previously discussed. Please read through the offer carefully, sign it and return to us at your earliest convenience. We will then be in contact with a delivery date. Thank you once again for your business. Thank you for purchasing the 10 cases of wine. You will be pleased to know that it will be delivered to the confirmed address on ____ ready for your celebration. You have certainly made a good choice and we are confident that you and your guests will be more than happy with your selection. We appreciate your recent order of the Miele washing machine. Customer satisfaction is of utmost importance to us and we value your trust in our company. Your purchase includes a _____ day/month/years warranty. We are confident that you will be more than happy with your purchase, however, please do not hesitate to contact us if any problems should arise. On behalf of the company I would like to thank you for your order of the Duravit bathroom units. I trust they are to your satisfaction and do hope we can be of service to you again in the future. We thank you for placing your trust in our company. Thank you for your order of 2000 business cards. We are pleased to confirm that they are now ready for collection at your earliest convenience. We just wanted to write and let you know that we have thoroughly enjoyed working with you for the last 10 years. We are honoured that you have chosen us and placed your continued trust in our company for so long. Please accept this small token of our thanks. You are a special customer and your business is greatly appreciated. If you have an Etsy shop, for example, or regularly send items out to customers you might be stuck for the wording on your thank you for your purchase cards. Or you may not even include one at all. In which case, you need to start now. I am a keen purchaser of items from a small business and am delighted when I receive a handwritten thank you card. It's always best to keep the wording simple. Try and make a point of addressing the client by name and mentioning the product. And of course, if possible, it should be handwritten. If you have ugly handwriting, like me, then you could buy pre-printed cards or ask a friend to write it for you! Another alternative is to buy a stamp. Thank you for ordering the felt bracelet. I do hope you like it. I hope you enjoy your rabbit print and thank you once again for ordering. Thank for for purchasing my ---------- I hope you are happy with it and it arrived safely. I hope your doll arrives safely and your daughter will be happy with her. Thank you so much for buying your holiday cards from my shop. I hope your clients enjoy them. Thank you for supporting my small business. I hope you enjoy your products. I hope you love your cushion as much as we do. Thank you again for ordering from our business, it means a lot.